Posted in News on 25/07/2018. 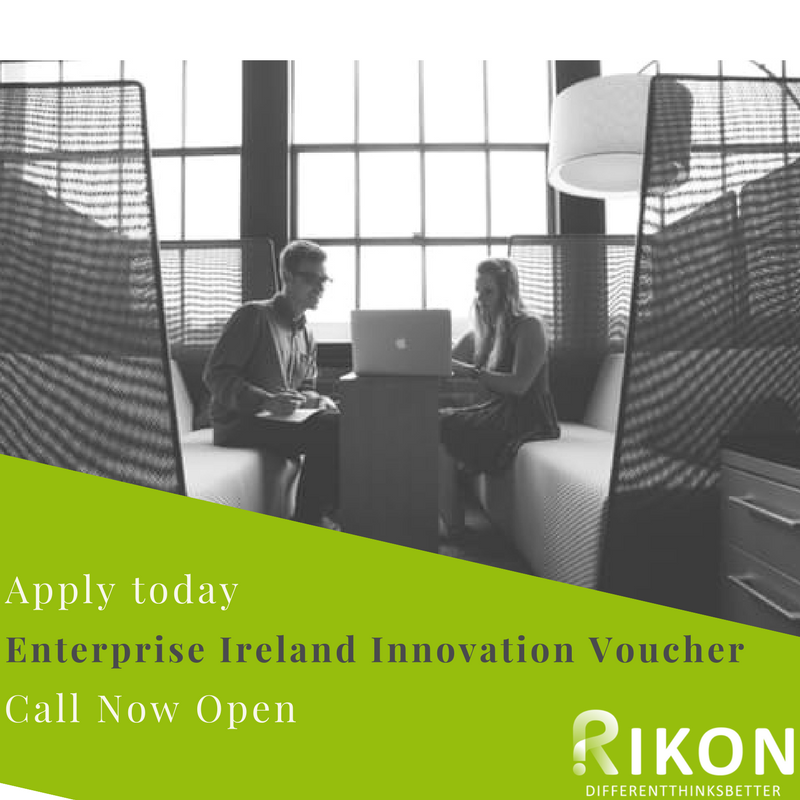 Enterprise Ireland have announced the third and final Innovation Voucher Grant call for 2018. RIKON are currently assisting companies in developing applications and applying for this call. We help Limited SME’s apply for funding to explore a business opportunity or problem through our services up to the value of €5,000. How can an Innovation Voucher assist your company? Just ask our clients. Contact Danielle on [email protected] / 051-834118 to apply today.